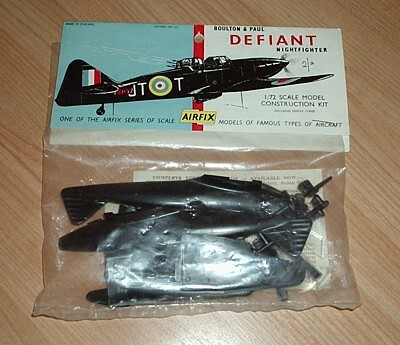 Complete with pilot, rotating turret and elevaying guns, the Airfix kit of a Defiant Night Fighter of 256 Squadron can be assembled with the wheels down, or retracted in a flying position. The Boulton Paul Defiant earns its place in aviation history because it was the first British turret equipped monoplane in Fighter Squadron service. The first Defiants to become operational saw action over Dunkirk in 1940 and on May 27th of that year, without loss to themselves, they shot down 37 enemy aircraft in only two patrols.